His sixth album, 2001's The Blueprint, has been added to a list of "culturally, historically, or aesthetically important" recordings in America. Or to give it is its formal title, the National Recording Registry. The Blueprint joins audio relics like Martin Luther King's I Have A Dream speech, a recording of the first transatlantic phonecall from 1927 and an 1888 version of Twinkle Twinkle Little Star. It's the first rap album from the 21st Century to be added. Nevermind by Nirvana, Radiohead's 1997 album OK Computer, The Miseducation of Lauryn Hill and Metallica's Master of Puppets are all in the archive too. The Blueprint is widely regarded as one of Jay-Z's best albums and was met with rave reviews when it was released. In 2003, it was ranked 464th on Rolling Stone magazine's 500 greatest albums of all time - it then climbed to 252 in a revised list released in 2012. The Blueprint happened to be released on 11 September 2001 - the day of the 9/11 attacks in New York. The album also marked the first time Kanye West was introduced to the masses thanks to his production on four of the tracks including Jay-Z's first top-10 single Izzo (H.O.V.A). Who is the best rapper of all time? 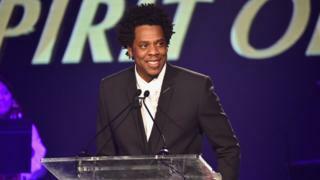 It's a question often debated by hip-hop fans - although 1Xtra's DJ Ace says this achievement by Jay-Z should end the argument for good. "The Blueprint for me is the perfect album. If we think about consistency, impact on general culture - Jay-Z might have to be number one." The "growth" Jay-Z has shown since The Blueprint is another reason Ace holds him in such high esteem. "We've seen all facets of his life, watched him grow from a boy to a man. From talking about cars, money and girls to talking about how important it is to vote or give back to your community. This latest accolade is well deserved."